One, two, three – Roland has finally made the 303 bassline, 909 drum machine, and VP-330 vocoder that so many people wanted. They’re small, they’re really affordable ($349-399), and they’ve got modern features. But after decades of remakes that strayed from the very things that made people love the originals, at last Roland has learned from their own legacy. So, let’s talk about what’s new and what, mercifully, isn’t. First – I love ideas, but why not remakes? The 303 and 909 have recognizable and even boring or overused sounds, sure. But the whole point of musical tradition is using old sounds in unexpected ways. And these particular noises are recognizable for a reason – they’re expressive and they work well on PAs and in the instrumentation of certain kinds of music. The same goes for the design. 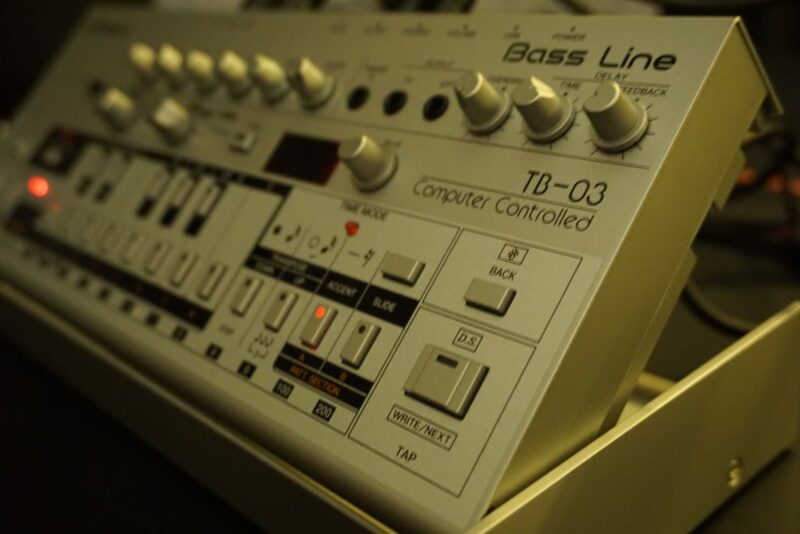 The 303 and 909 aren’t sounds that exist in a vacuum: they’re sounds that emerge from a particular interface. You could say the same of a grand piano or an electric guitar; you can’t separate the timbre from the way that timbre sits under your hands. For some reason, though, it’s taken for now for Roland to at last hear all of us telling them this. The AIRA TR-8 was great, but it wasn’t a 909 (though I do love those faders). And the TB-3, while a fascinating bass instrument, was also something else – lacking the very hands-on control and particular sound architecture that makes a 303 a 303. I think insisting on using the original 303 and 909, at their current used prices, is absurd. And not only that, but it cuts anyone who doesn’t have large chunks of disposal income out of the joy of using these instruments. That’s ironic for instrument whose legacy was built on being essentially undesirable – an unwanted machine that got into the hands artists who abused them in creative ways. Like the (already pretty good) TR-8 and other AIRA instruments, the new Boutique models are built on Roland’s Analog Circuit Behavior. ACB provides models of the individual components of the originals. The AIRAs were good; the new Boutique can build on ever better versions of those. I spoke yesterday to a visiting member of Roland’s RPG team in Harajuku. I figured the TR-09 and TB-03 would mostly reuse ACB models from the AIRAs with some tweaks. Not so. Instead, Roland says the new Boutique Series represent a massive amount of work on new models. The first AIRA TB-3 didn’t just make single oscillator 303 sounds; the AIRA TR-8 was built as an 808 model, but not really as a 909. 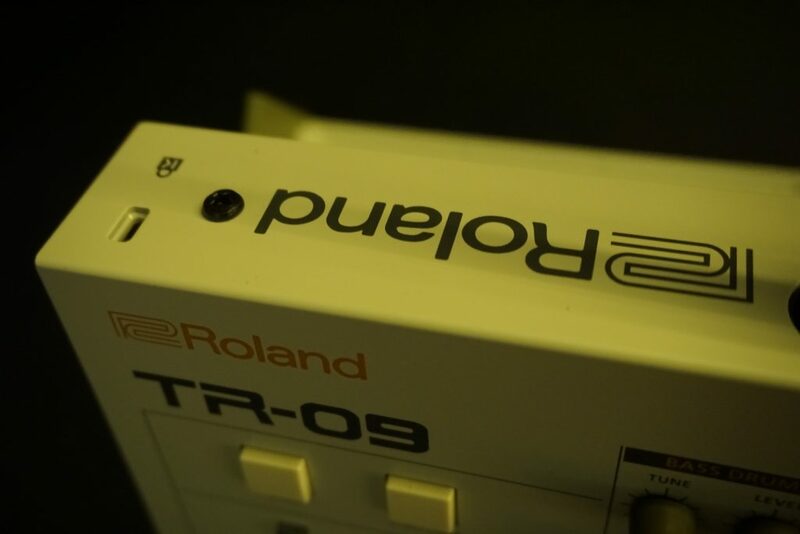 And these are more focused – the models for the TR-09 and TB-03 only model the 909 and 303 (as opposed to the multiple instruments modeled by the AIRA SYSTEM-1 and TR-8). So these models, Roland says, are new. And what I can say is, you can hear it. I didn’t do side-by-side comparisons, but I think that’s almost not the point: both sound so good you want to keep using them, which is the idea. 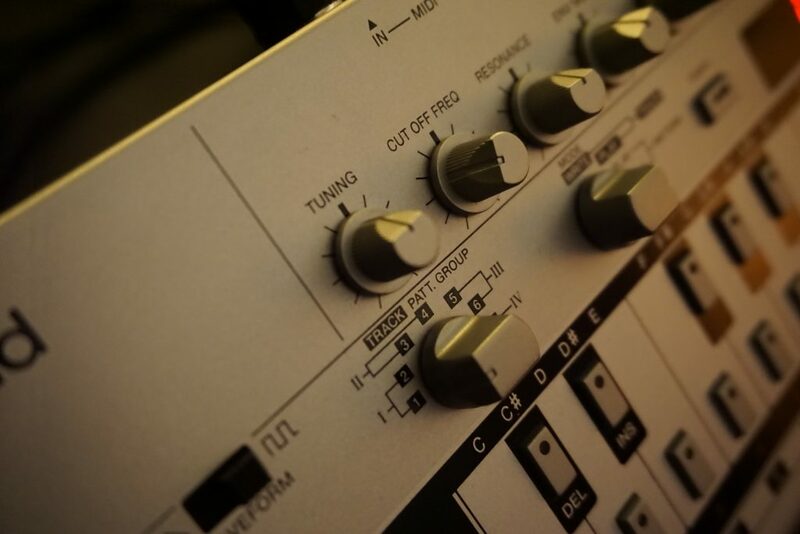 You’d be hard pressed to find a drum machine under $1000 as balanced as the TR-09, let alone one for this price; the TB-03 meanwhile is pure magic. CDM got exclusive access to record some sounds earlier this week. This is me just screwing around, really. No added effects, apart from briefly some reverb on the TR-09 to demonstrate that you can route individual audio tracks to effects by choosing multiple outs over USB. And yes, I turned the TR-09 compressor up, so some of those bass drum hits are too hard – but nice that you can do that, actually. I promise some actual music soon; in the meantime, I think you’ll hear some of the unprocessed sound and agree that I have way too much fun with them. Will these models exactly mimic one particular vintage machine? No — not least because individual models of analog gear can differ from unit to unit, and components age. But they do have the character of the original, and that makes them a starting point for further signal processing and musical use. They sound alive. I just want to try them on a big club PA before I really know how I feel about them; headphones are something different. Apart from sound, you do finally get the original control layouts. 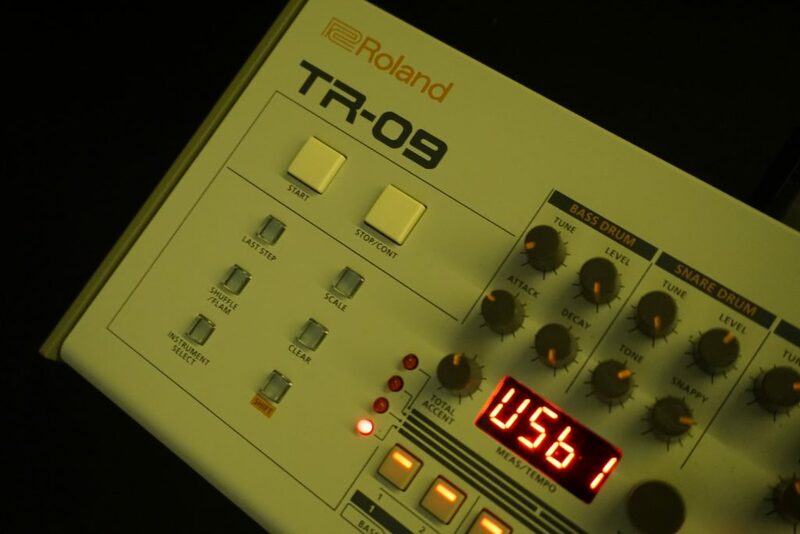 So the TR-09 is a shrunk-down 909 — but as it happens, maybe the 909 was waiting for this all along. That same layout on the gargantuan original works perfectly in a small space. Tiny knobs with small clearance is itself a bit fiddly, so big-fingered people probably will want to look elsewhere. But if you can live with that, you get a compact machine. And programming and sound control on the TR-09 does all the things the original did. That’s the same with the TR-03 — at last. Now, I know some people who utterly hate the original 303 programming method, but it’s there if you want it. (There’s an alternative, too, if you don’t – see below.) Most importantly, the sound controls from the original are back. So you get dedicated filter, resonance, and envelope controls. That was missing on the AIRA, and it’s what makes the experience of playing a 303; you might as well ship a Corvette remake without a steering wheel as leave these out. Little details like using TAP to write notes works, too. And of course, the TR-03 is in a form factor scale that’s close to the original. That signature footprint has defined the entire Boutique series. At last, it gets to come home to the 303 that inspired it. From there, we can talk about improvements. Metal cases. The build on these is, mercifully, not what you got from the AIRA. (No green!) That includes a metal case that even the original TB-303 lacked. USB. Install an audio driver, and both TR-09 and TB-03 will stream audio to a computer. 96k, 24-bit sound. Unlike the original Boutique Series, these audio drivers support up to 96kHz, 24-bit audio streams. I’m particularly interested in 24-bit for dynamic range; that seems worth testing. MIDI as well as CV. It’s the best of both worlds. CV/gate means you can connect to other vintage and modular gear and use analog signal control. But MIDI, not available on the originals, of course makes them far more flexible. 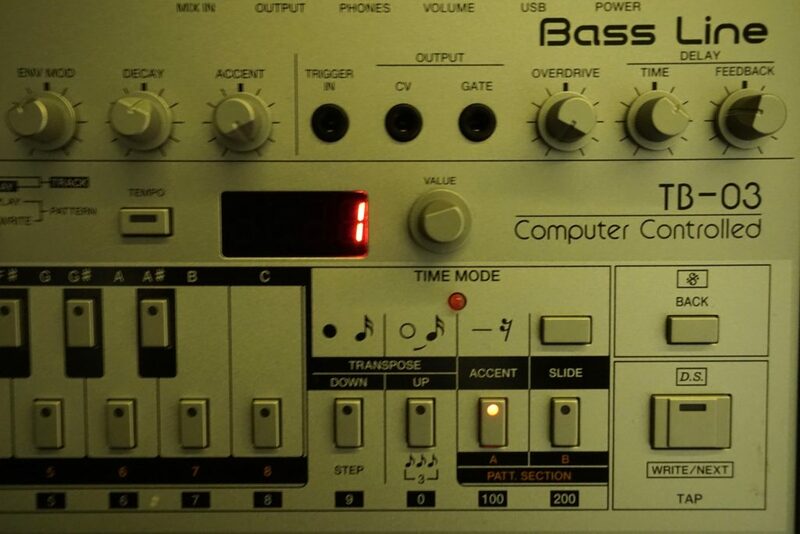 (The TR-909 was notable for adding MIDI, but it was a basic trigger implementation – here you get full CC control in both directions.) There are both full-sized DIN ports and MIDI available over USB. New to the 303, you get trigger input, too (see below). Full MIDI CC. This is obviously especially cool on the TB-03 for some acid automation, but both units respond fully to MIDI CC control and send MIDI from the panel (for recording). I tried to get my hands on a MIDI implementation guide, but it’s coming. Live programming. Patterns keep playing even as you mess around with modes and parameters, which gives the TR-09 and TB-03 unparalleled flow. USB and battery power. You can use USB power with a computer or a wall wart – so you’re not worried about finding the right power adapter. Or you can use battery power. And for anyone complaining about digital modeling and ACB, there’s one answer – it’s less power thirsty. There are some unique features on each unit, too. To me, the surprise of the TB-03 is that it’s all about the added onboard signal processing. A 303 on its own can be a bit dull, as in you eventually get tired of filter resonance. But the TB-03 packs overdrive, delay, and reverb onboard, too, which extends what you can do with it. Overdrive. I’m sorry: you have no idea how good this sounds. The combination of overdrive with the filter opens up the whole character of the TB-03. Delay. There’s also an analog-style delay with feedback, which also extends timbral range as well as opening up rhythmic effects. You can use it freely, or clock to external sync. Reverb. This is hidden; I totally missed it at first. But you can switch the delay to a reverb. The guy from Roland I met loves the reverb. I don’t, because I love the delay. You can choose for yourself. Step mode. This is a really fun way to enter patterns – officially “step mode” but everyone at Roland was calling it “simple mode.” Essentially, it lets you use the TB-03 panel as a normal step sequencer and get rid of the sometimes maddening 303 way of entering melodies. Shhh – I won’t tell your die-hard 303 friends. I slightly miss the AIRA TB-3’s clever touch surface, but the flexibility of the TB-03’s design and interface and (finally) dedicated knobs for envelope and filter make it more than worth it. Built-in compressor. The snare and bass drum each have an adjustable compressor. It sounded fairly transparent to me in a brief test (again, I want to get on a PA, which is where I think this might come in really handy). The LED is available for editing. Yep, that’s convenient — a display for not only master tempo but also various parameters an editing, which wasn’t available on the original. Breakbeats! Well, that’s what I was doing with them. You can add 32-note patterns via a modification key when programming. Assignable audio outs. Okay, first, the bad news – you don’t get dedicated audio outs for each part on the TR-09. (Since it’s digital, not analog, I’m guessing you also can’t mod this the way you could on the KORG volca series.) But the good news – audio outputs are assignable internally via menus. For analog, you’re limited, but you can hard pan parts left or right. Since they’re generally mono to begin with, that means you could split a signal and route a particular part or parts to outboard effects. On a computer, you get more versatility – there are four assignable stereo pairs, plus the stereo mix. That also would mean you retain stereo panning information if you choose. More pitch. Additional pitch controls are hiding behind that front panel, for parameters not available on the original. Stereo. Stereo. You can now set panning for parts, too, either sent directly to the stereo mix (analog/USB) or included as stereo information in those assignable stereo outs. I think there’s no surer bet than seeing this hardware as a huge breakout hit. They also represent a new direction for Roland. The company has a long history of messing about with its history. 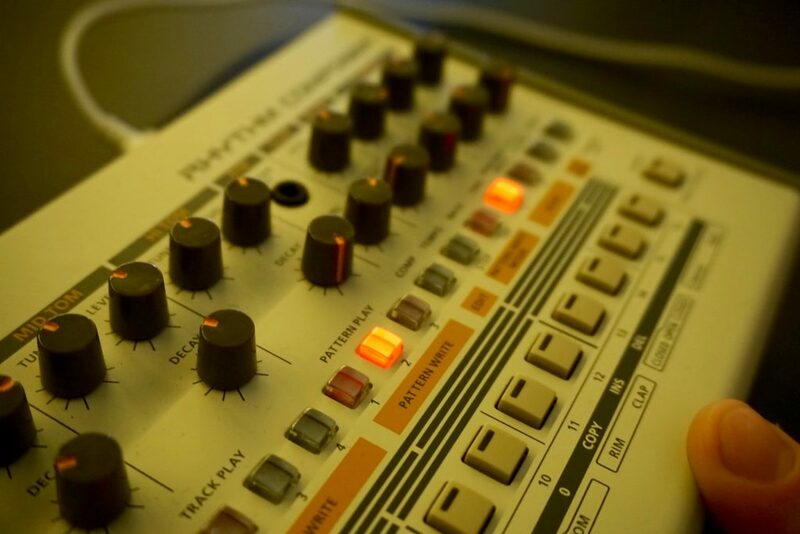 Names like Jupiter and Juno have appeared on products in the loosest sense, and the 303 and 909 in particular have been bastardized incessantly. Even the AIRA, while being a bit more reverent (and modeling components), still different from the original design. But in this case, there’s something refreshing about the limitations of these instruments. Both prices include the dock. CDM should be first in line for a review; we can also visit the ones hanging out here in Berlin if you need more hands-on questions. The VP-03 actually I think is equally newsworthy, but we’ll cover that in a separate story as it’s the odd man out of the trio (though as you’ll see, in kind of a good way).